Gucci "New Ace" sneaker in metallic leather. 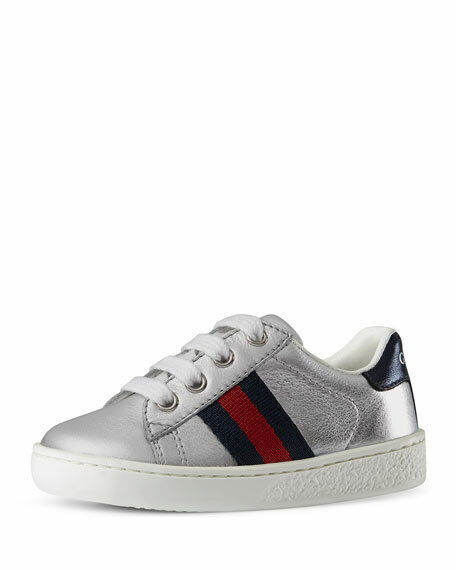 Gucci leather sneaker with web detail, featuring metallic heel cap detail. Round toe. Grip-strap upper. Rubber sole. Made in Italy.